Site Map | Ocean City MD Attorneys Coates, Coates & Coates P.A. Home - Avoid stress and legal complications. Ensure your future. Serving Ocean City since 1954. Legal representation, attorneys, law firm. Call 410-723-6000. Attorneys - Meet the attorneys at Coates, Coates & Coates, offers a wide-range of legal services to our clients on the Eastern Shore of Maryland and surrounding area. Ray Coates, Jr. - Ray Coates, Jr. specializes in Estates, Wills, Real Estate Settlements and Foreclosures and Resolving Disputes. B. Randall Coates - B. Randall Coates specializes in Real Estate Transactions, Condominium Law, Landlord/Tenant, Litigation, Contracts, Personal Injury, Real Property, Criminal Defense, Estate Administration, Estate Planning (Wills and Trusts) and Elder Law. Thomas K. Coates - Thomas K. Coates specializes in Real Estate Development and Financing, Condominiums, Subdivisions and Real Estate Settlements, 1031 Exchanges and Reverse 1031 Exchanges. Ryan T. West - For a fast and free consultation of your legal issue, call Mr. West at (410) 632-3090. 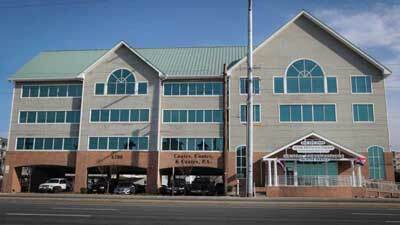 Lindsey Ann West - To consult with Lindsey Ann West regarding your case, contact the Ocean City Office at 410-723-6000. Practice Areas - Coates, Coates & Coates, P.A. offers a wide-range of legal services to our clients on the Eastern Shore of Maryland and beyond. Business Law - Coates, Coates & Coates, P.A., provides clients with advice and services needed to effectively navigate the rewarding, yet challenging path of entrepreneurship and business ownership. Civil Litigation - Litigation is the act or process of having issues resolved by a court when they cannot be settled by agreement. Find out more. Condominium Law - Coates, Coates & Coates, P.A., represents condominium associations, unit owners and developers in all aspects of condominium law. Contracts - Coates, Coates & Coates, P.A. has multiple attorneys who are experienced in handling various types contract cases in the transactional, negotiating, and drafting stage, as well as in contract litigation. Divorce and Family Law - While any situation in which you need legal services is stressful, proceedings involving family legal issues can be especially worrisome. Let us help. Estate Administration (Probate) - In Maryland, the legal proceeding to administer a decedent’s estate is known as probate. Call our Snow Hill or Ocean City offices. Estate Planning - Coates, Coates & Coates, P.A., has decades of experience assisting Maryland residents with their estate planning needs. 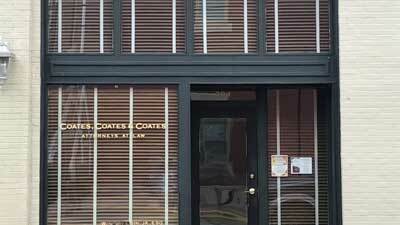 Guardianship - The attorneys at Coates, Coates & Coates, P.A. have experience serving as attorneys for petitioners seeking appointment as a guardian, as well as experience as court-appointed counsel for alleged disabled persons. Landlord and Tenant Law - Coates, Coates & Coates, P.A., has experienced attorneys that can assist with the many varying issues that can arise in landlord-tenant relationships. Mediation - The mediators at Coates, Coates & Coates, P.A., offer mediation services in various areas on the law, including Family Law, Divorce, Custody Disputes, Probate Disputes, Real Property Disputes, Landlord-Tenant Issues, Business Disputes, and General Civil Litigation. Real Estate Law - Our Real Estate Lawyers handle all types of real estate transactions, from deed transfers between family members to high dollar development deals. Contact - Contact us in our Ocean City Office at 6200 Coastal Hwy, Suite 300 410-723-6000 or our Snow Hill Office 204 W. Green St. Snow Hill, MD 21863 410-632-3090.